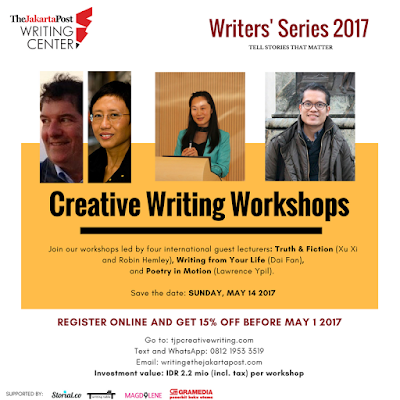 How many Indonesian writers who are writing in English out there? I had this conversation with Jakarta Post Writing Center's managing director, Maggie Tiojakin, the other day as she explained why her team created the Writers' Series for the second time this year. Not only that Indonesia is lacking readers, but it also has a shortage of writers. Maggie believes that by equipping more people with a creative writing skill, the fuel and inspiration to write will eventually generate more results. It is unfortunate that we have more foreigners who used to live in Indonesia or monitor the development of the country wrote about Indonesia and shared their 'outsider' perspective to the world. 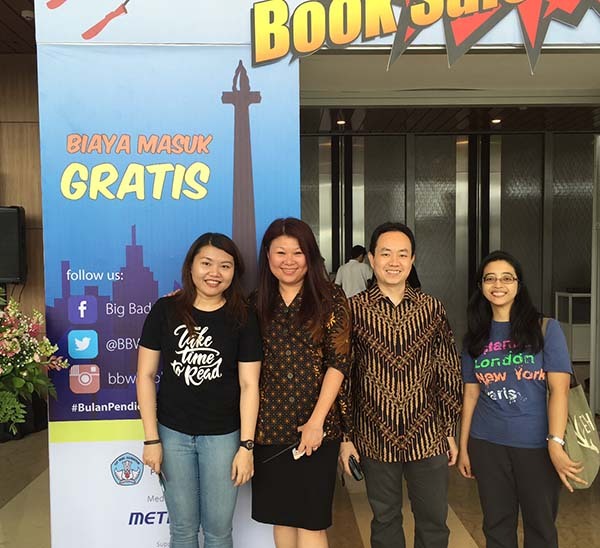 Throughout this weekend, Jakarta Book Club collaborated with TJP Writing Center and supported the Writers' Series. Three of lucky JBC members got the chance to join a creative writing workshop of their choice! Wanna know what they think of it? 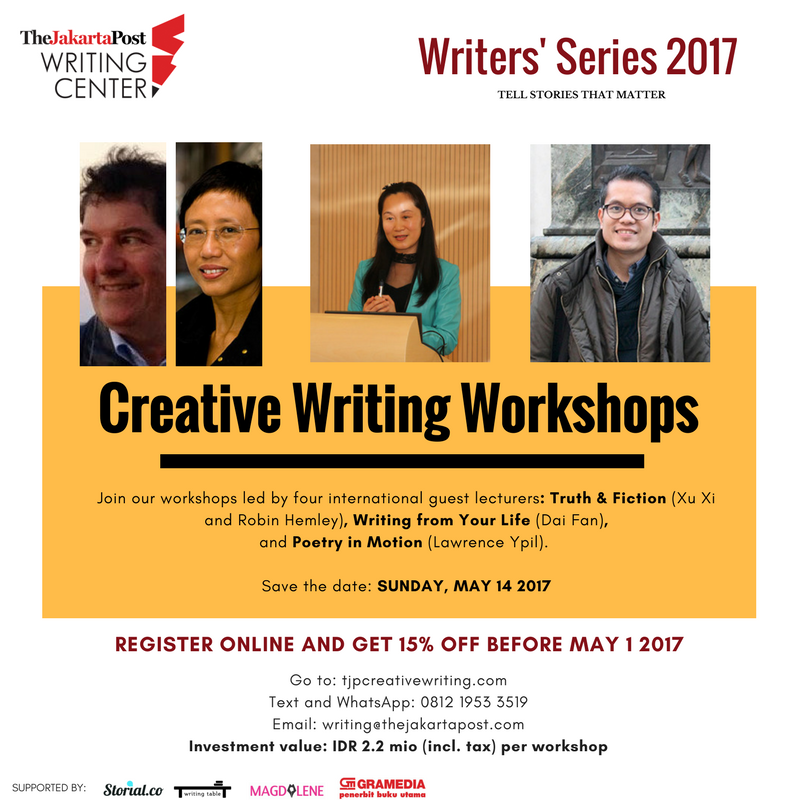 The second-day event featured premium workshops which are held at The Jakarta Post office and cost Rp 2.2 million per course. I was really lucky to get a free seat from Jakarta Book Club to attend a three-hour workshop on "Truth and Fiction" by Xu Xi and Robin Hemley. Robin was in charge for the first section. The first exercise was a sensory visual observation activity. He instructed us to close our eyes and, after that -- while our eyes were still closed -- he asked us to describe all the things inside our discussion room. It was interesting to know that many of us can remember the details of the room, for instance, the size of the room which was quite small and the low, waffle-like ceiling. The second exercise from Robin was to write about a real photograph that we see a lot every day and a notable memory we had in the past. We need to write down about the photograph and the memory as clear as possible, read it out loud to others, and let them guess whether the story was based on a memory or a photograph. You did well if you can fool the audience. The trick is how to play with the details and the way you embed your emotions into the writings to make it as detailed as a photograph -- although it was a memory -- and as emotional as a memory -- even though it was actually a flat photograph. Later on, she instructed us to fictionalize our factual story by changing any of the "Ps" and see how it changed the whole thing. The easiest one was to change the “Person” element, and if you changed the “Plot”, you really need to rewrite the whole story, but that what makes writing so interesting. I have learned a lot of new things from the public seminars and especially from the workshop -- too bad it was only 3 hours! 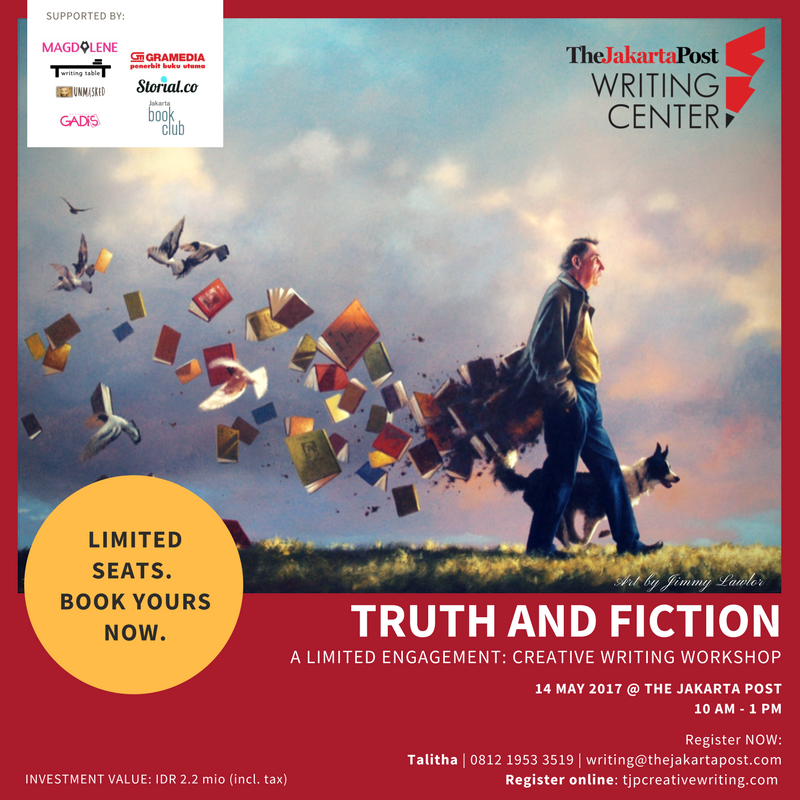 I am looking forward to attending other events hosted by The Jakarta Post Writing Center. 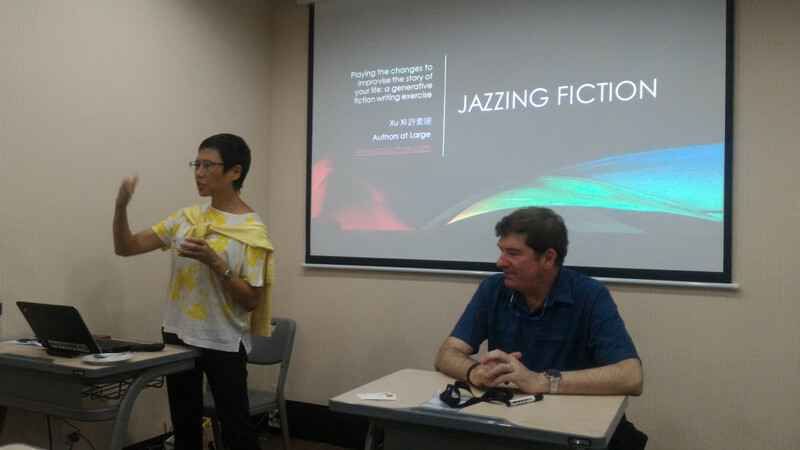 Thank you very much to Jakarta Book Club for the opportunity to attend the fantastic workshop!